Reaction videos are incredibly successful with viewers and vloggers alike. Popularized by the Fine Bros, reaction videos have taken over YouTube. One of the best things about reaction videos is that any vlogger of any skill level can make them. The most important things to know are how to screen record and what kind of videos to choose. You can screen record directly from YouTube. YouTube’s live streaming feature allows you to share your screen, making it super easy to do a screen recording. By creating a private live stream, you can make and download a screen recording directly from YouTube. Choose a video you haven’t seen before. Reaction videos are all about genuine reactions. Therefore, you should only choose videos you haven’t seen before. For example, if your favorite band drops a new music video, don’t watch it immediately. Set up your camera and start screen recording first. Then, edit and upload the video as quickly as possible. 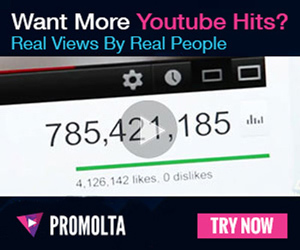 Alternatively, you can react to popular videos you just haven’t seen yet. Vlogger Ricky Dillon created a series out of reacting to YouTubers he hasn’t seen before. You can easily find cool videos to react to on Ogila. As a bonus, you can even earn extra money by reacting to videos you find there! Whatever you choose, make sure it’s something you’ll have a strong reaction to. If you’re indifferent towards the video you’re reacting to, then your reaction video won’t be very entertaining. Turn on both your camera and your screen recording. The most important part of making a reaction video by far is to remember to turn on both your camera and your screen recording. If you only have one recording, then you’ll be missing half your video! Set up your camera first. Have it close enough so viewers can see you face. However, if you suspect you might move around a lot, move the camera a bit farther away. Then, start filming. You can edit out the part where you’re setting up your screen recording later. Do your intro, then start playing the video and reacting. Edit the screen recording and the camera footage together. Editing is the most challenging part of creating a reaction video. It’s important to have the video you reacted to playing in a smaller box on your screen so the viewers can follow along. However, many video editors have features that allow you to do this easily. Find a tutorial for the specific software you use. Reaction videos are fun and easy to create and share. Ask your viewers what videos they want you to react to, and get those reaction videos up as soon as possible!